Meeting, Mon 26 June – Could the ground heat our schools? Find out at our meeting on Monday 26th June, 7:30 – 9pm at Proper Coffee, 26 Keymer Road, Hassocks. 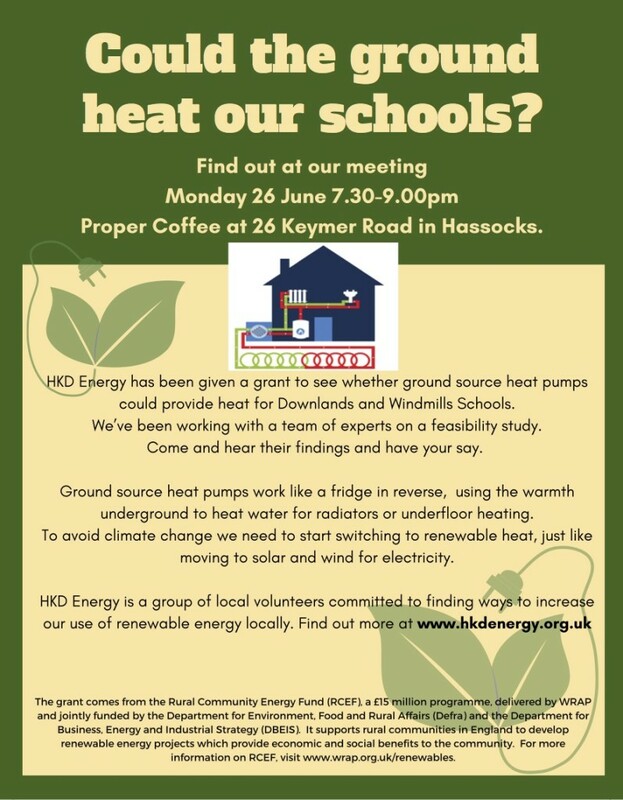 HKD Energy has been given a grant to see whether Ground Source Heat Pumps could provide heat for Downlands and Windmill Schools. We’ve been working with a team of experts on a feasability study. Come and hear their findings and have your say.